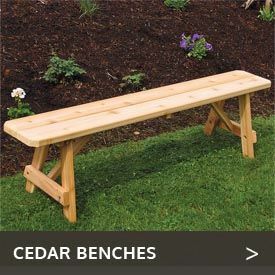 No matter where you live, you can take full advantage of ideal conditions when the weather’s fine outside with the redwood, pine and cedar wood outdoor picnic tables from Cedarwood Furniture. Our rectangular picnic tables are available in sizes ranging from 4 feet to 8 feet, making it easy to suit the space you have available and the number of picnickers you plan to serve. 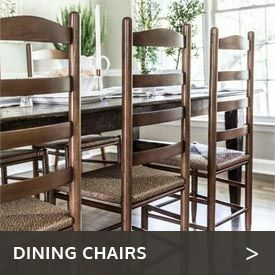 For those smaller spaces and groups, we also carry a 43-inch square picnic table that offers traditional good looks and comes with an umbrella hole that lets you add an optional umbrella to shield everyone from the sun. It’s perfect for a porch, deck, pool or backyard. 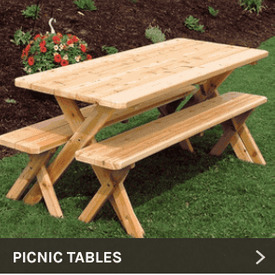 These picnic tables are available in a variety of materials, including economical pine, sturdy cedar and long-lasting, lustrous redwood. You can choose from a variety of designs ranging from the simple and informal to the simply elegant.